You can save your return as a PDF or print a copy. The first page of each return (federal and state) will be the "Electronic Filing Instructions". You'll find the same sheet at the beginning of your state return. You should be able to see the amount you owe the state there. 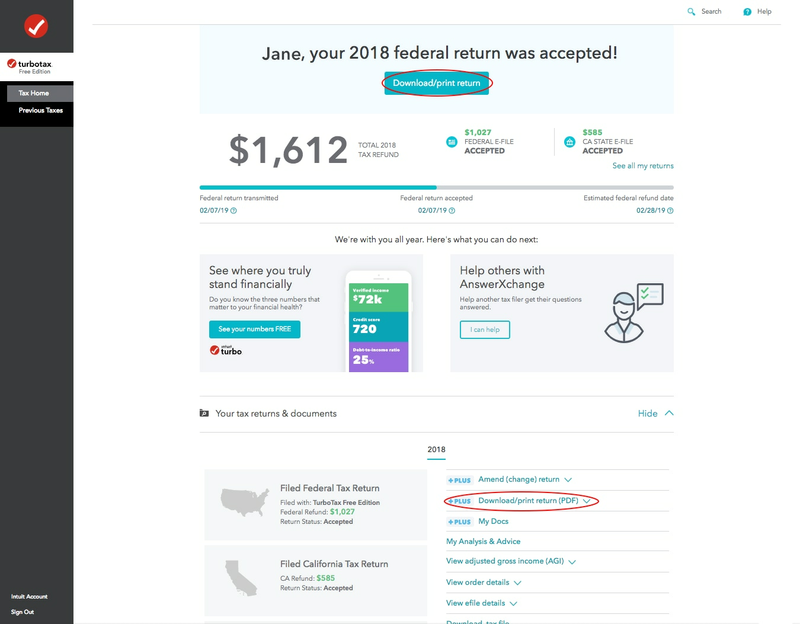 Here's a TurboTax FAQ instructing you on how to save or print your return. This is a GOOD idea to do each and every year. Information on last year’s AGI or accessing a prior year return. Select Download/print return if your return has been accepted. Or scroll down to under Your tax returns & documents (select Show if needed) and Download/print return (PDF). Once your return has downloaded, locate the PDF and open it. Select printer icon at the top of the screen, or open the File menu in the upper-left corner and select Print if you see that. Your printout will include extra documentation and calculation worksheets for your files but not W-2s, 1099s, or any other forms from your employer, bank, brokerage etc. because TurboTax didn't generate those forms. For more information on related topics, such as trouble accessing your TurboTax account, have a look under Related Information. Can I get a copy of my tax return from the IRS? How do I access my prior year (2017) return?